So, struggling to grow your Instagram followers? Or maybe you haven’t even started and aspire to become an influencing individual on Instagram? No matter who you are, you can become an influential individual with the help of Instagram. You just have to follow sure-fire practices and work consistently and slowly but surely, you’ll see results. One thing is for sure, influence isn’t gained overnight. Nor is trust. Followers can be if you buy them, but doing so is a foolish move because it will harm you long-term since none of the fake followers are actually real. If you are just getting started with your Instagram page, you, obviously need to go through the most basic yet essential steps first, such as creating an account, setting up your page, and so on. Have a good account name without unnecessary dots or numbers so people won’t have a hard time finding your account. Have a well-structured bio with the most important information listed. Decide what niche you will target on your page before you start so your new followers know what to expect. Once you have completed the steps above, you are ready to start working on your page “for real”. If you want to Grow Your Instagram Page To A Big Influencing Profile, then the steps below are must do practices. The first things you want to do in order to become an influencer, or someone with a big reach and impact over people is obviously to grow your followers and your audience. Without an audience, you won’t reach anyone, and if you don’t reach anyone, you will never be able to call yourself an influencer, nor will brands want to work with you. You can tag a maximum of 20 people in your photos. 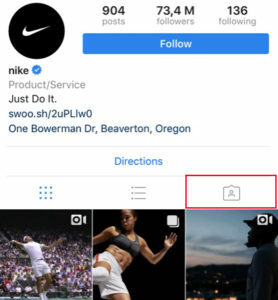 At the moment, Instagram doesn’t allow you to tag people in your videos, however, if you are like most people, the majority of your Instagram posts are photos. Right? Since you can tag 20 people in your photos, why not take advantage of it and use all of them? “Who should I tag?” you may ask. 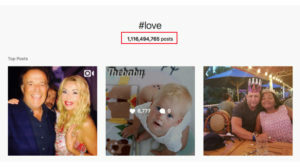 You can tag your friends, people in the same niche as you and pages that you have gotten to know through Instagram, also known as “Insta-friends”. If you haven’t figured it out already, you might be thinking something similar to the headline above. Obviously, you don’t tag people in your posts for anything. First of all, by tagging people in your photo, almost every one of the people will get a notification that they have been tagged in your photo. Of course, this only applies if they have their notifications turned on, but the majority of people do. As a result, many of the people tagged will both like and comment your photo because they will be curious about what they were tagged in. In addition to that, The followers of the accounts you’ve tagged will also see that you have tagged them and possibly visit your page. By tapping the button above, you’ll be taken to a page that shows all of the photos that account has been tagged in. In this case, Nike. Liking and commenting on photos in your niche is two of the easiest way of getting your page seen. And as you might know, getting your page seen is the fundamental part of growing your page, because if no one knows your profile exists, how can they follow you? The best way to do this is to visit hashtags and Geotags in the Explore tab on Instagram. However, you want to do it strategically, not just like and comment ever post you can come across. Look for pages that have something in common with your page and niche, because these people are most likely to find your page appealing. To do so, the best way is to search for a keyword relevant to your niche in hashtags or search for a location that is relevant to your niche in geolocations. Leave a like and a comment that will leave a long-lasting impression. Don’t just be like everybody else and comment “Nice pic” etc. Leave genuine comments, comments that show that you’ve really looked at the post and aren’t just a bot. The maximum amount of hashtags you can use in one photo is 30, why not take advantage of it? 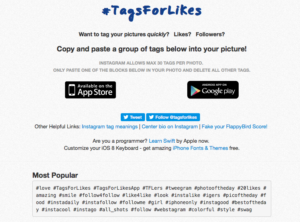 Some people tend to believe that the best hashtags are the most popular and simply Google “Popular tags Instagram” and then copy that list. This is far from the truth. While it may be true that you (usually) get a lot of engagement by using the popular tags, they are heavily used by bots, thus meaning that almost all engagements generated will be from fake accounts who have no real interest in your page. What is far more rewarding than using the most popular hashtags is to make your own list of hashtags that are relevant to your niche. By making lists that actually are relevant to you, as opposed to “#Like4like” etc., with these tailored hashtags, you’ll actually attract people who really matter, and will follow you. 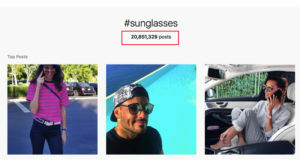 When deciding what tags to use, you can take a look at how many photos that have been posted with that particular hashtag. The reason you want to take a look at how many posts have been made with a particular hashtag is that it reflects how popular it is. Now, obviously, you would believe that the more popular hashtag, the better, and here is where the split opinions come in. Some people mean that it is better to use immensely popular tags because obviously, you’ll get your post in front of more people. On the other hand, because that hashtag is so popular, it means your post will quickly disappear, leading to it ending up far, far down where it will gain very little engagements. This is why some people mean that less popular hashtags are better because your post will stay up longer, while some people mean that more popular tags are better because more people will see it. Which of these two you think is best should reflect the popularity of the hashtags you use. Once you have made your lists of tags, make sure you save them in a good place, for example in your notes. When you post photos, simply copy and paste them into the comment section of your post. You can also add them to your caption, but if you have 30 tags, it will make your post look very spammy. After you’ve received a few comments, your hashtag comment will only be visible if people tap “see more“, which is great because your list won’t be as disturbing. A very important part of Instagramming is making sure you are having a good engagement. This can be achieved by socializing with others. This is a must if you want to continue receiving comments. Always respond to every single comment you receive on your posts. Otherwise, it’s like talking to a wall for the people who are leaving comments. Eventually, they’ll get tired of you now responding to their comments and stop commenting. If you engage with those who leave comments on a regular basis, they’ll become lifelong supporters of you and your page, and loyal fans are extremely valuable. Also, you want to thank the people who are leaving supportive and kind comments for their support. Always show that you are thankful and humble. This lets you be more human and approachable. We touched upon this a bit above with commenting and liking other people’s pic. Another way to take the socializing even further is to engage with the same people in your industry over and over again. Eventually, you’ll become great friends who support each other, and who knows, the relationship might end up being extremely valuable and beneficial for both of you. Another thing you can do is to encourage people to tag you in their own photos since your account will get a broader reach and more exposure. Arranging a contest on Instagram can have huge success, and an even greater success if you give away things a lot of people want. Inevitably, the better prize you have, the more people will want it, and the more people will join your contest. Set up some rules on how to enter the contest and then announce your giveaway. By getting other people to spread and share your contest with their own followers, you will get more people joining and ultimately more followers as well. If you have an account that is big enough, you could also contact other brands and ask them if they want to do a cross-giveaway. A cross-giveaway is when you and another page is partnering up and arranging the giveaway together in order to get more contestants. Read How to arrange a successful contest on Instagram to learn everything you need to know about arranging a successful contest. If you have other social media pages than Instagram, why not ask your followers to follow you on Instagram as well? It is super easy to d so and often results in new followers. Often times, people aren’t even aware of the fact that brands are to be found on other platforms than the one they are following the brand on. You are posting content for your audience, so obviously, you want to learn what type of content your audience likes the most and then start posting such. Scroll through your older photos and see which ones got the most likes and comments. If you’ve turned your page into a business page, you can also take a look at the insights of the posts to get a better understanding of how they are performing, for example when it comes to reach and views. If you make scrolling through your old posts into a habit, you will eventually learn what kind of content will get a good response on your page and what your followers will like. The better you adapt your content based on your audience’s preferences, the better response you’ll get on your posts, thus, the more followers you will get long-term. Geotagging means adding a location to your post. Geotagging is yet another way to get more exposure for your post, and another way for people to find your page – apart from hashtags. It’s not just an assumption that adding a geotag to your photos is good. In fact, while just 5 percent of Instagram posts tag a location, the ones that do will, on average see 79 percent more engagement. 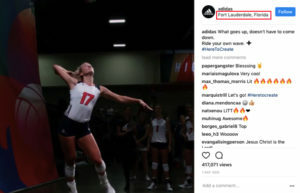 Adidas can be seen taking advantage of the benefits geotagging offers on all their posts. One way is to contact pages with a similar amount of followers and ask them if they want to do a “shoutout for shoutout” meaning you recommend their page in a post of yours, by writing something like“follow my friend @— for a great feed”, and in return, they’ll do the same. You can also ask if people are interested in letting you “take over their account for the day”. Of course, not everyone will hand out their logins, so make sure you know them very well first. Shoutouts increase your reach dramatically and ultimately helps you grow your page. You can also ask if people are interested in letting you “take over their account for the day”. Your followers are what makes you, and they have more power than you might realize in terms of word-to-mouth marketing, engaging etc. There are a lot of things you can ask your followers to do. For example, you can ask your followers to tag a friend in your posts or repost your photo. These two ways are extremely effective for getting more exposure and more followers because a recommendation from your audience means getting a recommendation that in turn is shared with peers. Another way to get more engagement on your post is to include captions that “demand” your followers to comment. It can be anything from “Like if you agree” to “Yes or no”. Having “Insta-friend” is super valuable as it can be extremely valuable long-term. Making friends on Instagram will not only gain you more comments and likes, it will also let you gain valuable knowledge from people who are going through the same things as you. In addition, having friends on Instagram, they are always more happy to help if you ask them for something. 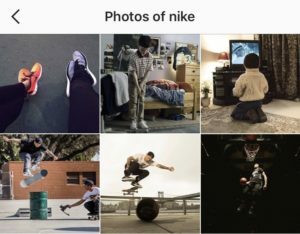 NextWhen Is The Best Time To Post Photos On Instagram?